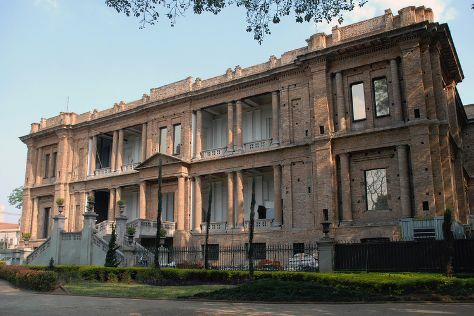 Museum-lovers will get to explore Pinacoteca do Estado de Sao Paulo and Afro Brazil Museum. Satisfy your inner culture vulture at Museu de Arte de Sao Paulo Assis Chateaubriand - MASP and Catavento Cultural e Educacional. There's lots more to do: tour the pleasant surroundings at Ibirapuera Park, get a taste of the local shopping with Paulista Avenue, view the masterpieces at Centro Cultural Banco do Brasil, and take in the spiritual surroundings of Temple of Solomon. To find traveler tips, other places to visit, photos, and other tourist information, use the Sao Paulo attractions app . Rio de Janeiro to Sao Paulo is an approximately 1.5-hour flight. You can also do a combination of flight and bus; or drive. In January, Sao Paulo is a bit cooler than Rio de Janeiro - with highs of 33°C and lows of 23°C. Finish up your sightseeing early on the 4th (Mon) so you can go by car to Aparecida. On the 5th (Tue), pause for some serene contemplation at Church of Sao Geraldo, take in the architecture and atmosphere at Igreja de Sao Benedito, pause for some serene contemplation at Matriz Basilica Nossa Senhora Aparecida, take in the architecture and atmosphere at Basilica de Nossa Senhora Aparecida, then take in the spiritual surroundings of National Sanctuary of Our Lady of Aparecida, and finally don't miss a visit to Cupula do Santuario Nacional de Nossa Senhora Aparecida. Get ready for a full day of sightseeing on the next day: pause for some serene contemplation at Capela do Batismo, contemplate in the serene atmosphere at Morro do Cruzeiro, pause for some serene contemplation at Frei Galvao Shrine, then pause for some serene contemplation at Catedral Santo Antonio, and finally take in the spiritual surroundings of Visita monitorada noturna na Basilica. For reviews, photos, other places to visit, and tourist information, go to the Aparecida road trip site . Drive from Sao Paulo to Aparecida in 2 hours. Alternatively, you can take a bus. February in Aparecida sees daily highs of 37°C and lows of 24°C at night. Wrap up your sightseeing on the 6th (Wed) early enough to drive back home.